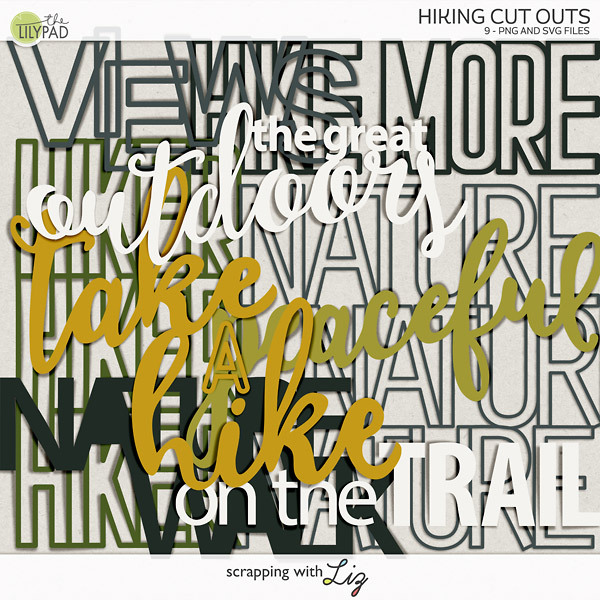 Scrapping with Liz: Monthly Blog Challenge - January 2019! 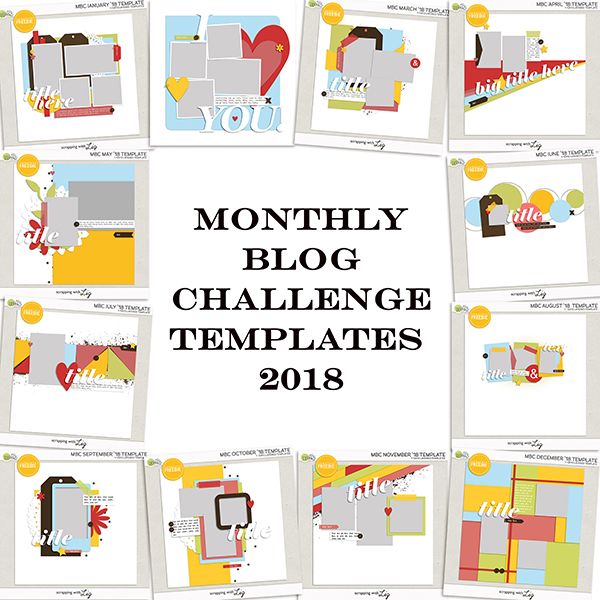 Monthly Blog Challenge - January 2019! It's rare when the MBC challenge opens on the first day of the month and even more rare to do so on the first day of a new year, but here I am with an awesome Liz template to start off your year in style! If you've never played along with the MBC (Monthly Blog Challenge), give it a go! 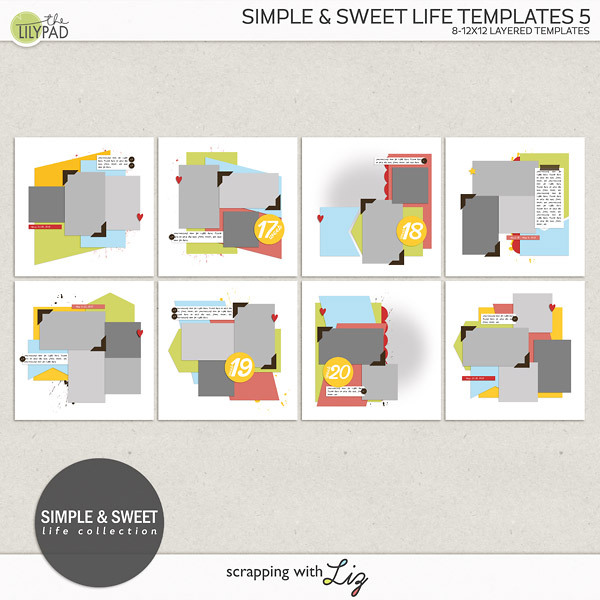 The first Tuesday of every month, I post a new FREE template from Liz. You download it, scrap it, and send a link to your layout to our special monthly challenge email (see "The Fine Print" below). One winner is chosen every month and receives a $10 coupon to Liz's store. Everyone else receives a discount coupon to Liz's store. Even if you don't decide to play, grab the free layout! How many of you collected all twelve templates from 2018? 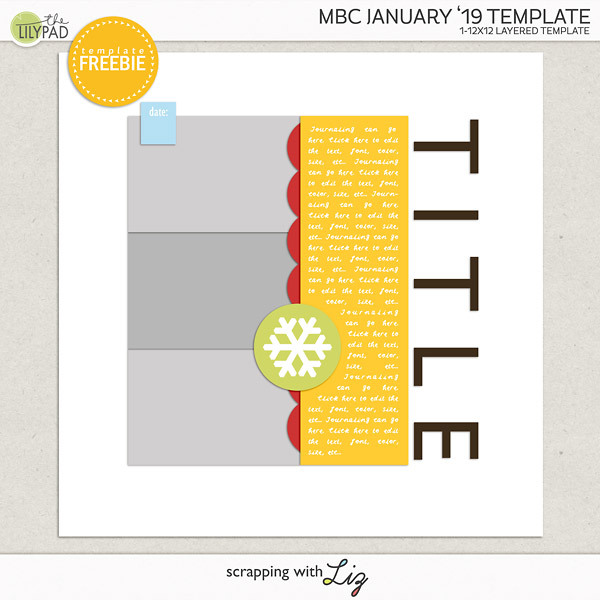 Take a tour down memory lane and see what you scrapped with the MBC 2018 templates! 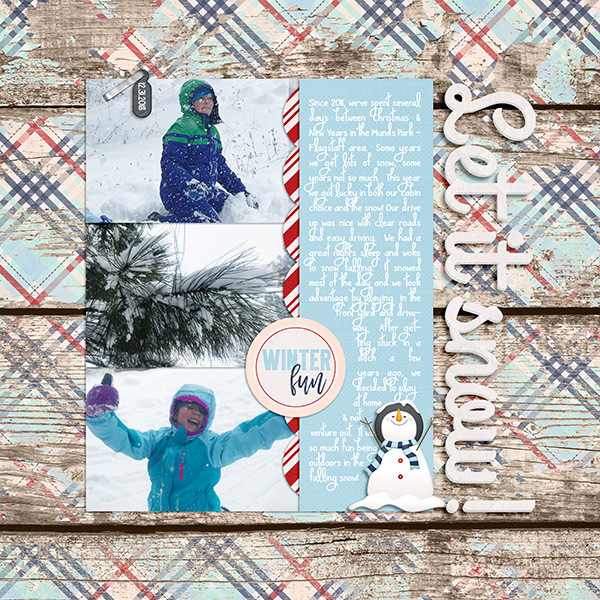 Our final winner of 2018 is Jodi W and her layout about a gorgeous young lady and a beautiful dress! Congratulations, Jodi! Want to win like Jodi did? Play along in 2019! Include the challenge month of your submission in the subject line. This month, we'll use "January 2019 Challenge"
Winning prize and participation prize coupons are sent via email in reply to the submitting email and usually within two weeks of this post. Gorgeous template!! Thank you so very much!!! Happy New Year!!! 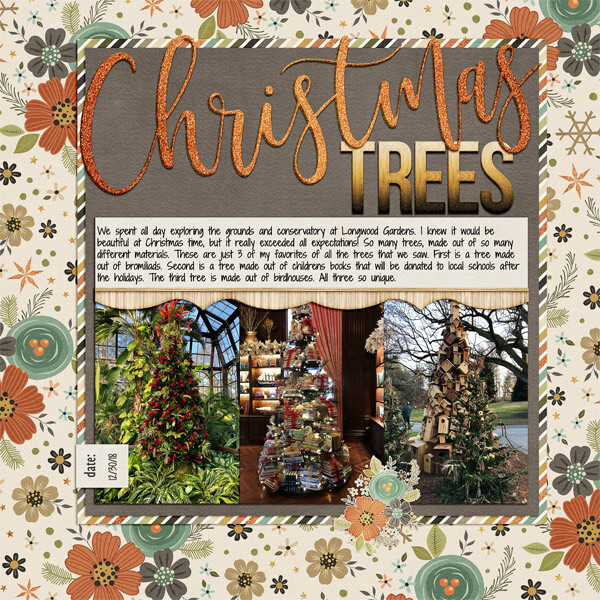 Love the template...thank you, but I also wanted the Boho Christmas by Studio Flerg that Donna did with this template. Can not find it anywhere. Is there a way to purchase it? FIRST EVER Creative Team Call! Finished January Calendar & FREE 2018 Cover!